Allsop has released its February commercial auction catalogue, which contains 144 lots and has the potential to be the highest value February commercial auction for five years. London and the South East predominates and the average lot size of the top 20 lots offered has increased to £2,500,000 compared to an average of £1,600,000 in the last sale in December. Overall, there are 30 lots included over £1m, 7 of which are guided at £2m or more. 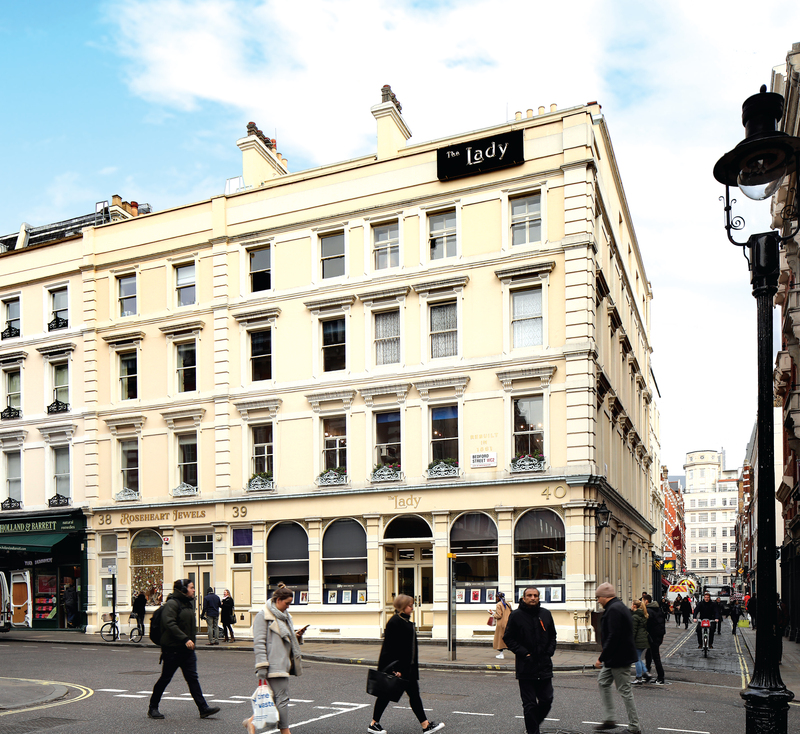 The largest item in the auction is lot 87, a freehold office and residential investment that is home to The Lady magazine at 39-40 Bedford Street, Covent Garden. Being offered with a rent of £170,000pa and a considerable development opportunity in the heart of London’s tourist scene, the property has a guide price of £12.5M to £13M. Comprising 11,140 sq ft in all, there is already interest from the restaurant sector, and this should appeal to investors from the UK and overseas seeking a top-quality trophy asset for their portfolio. With 51% of the catalogue representing London and the South East, two other attractive opportunities in the region include lot 82, a freehold shop and residential ground rent investment located in Richmond town centre. Situated within 500m of the Richmond Overground and Underground Station, the property is currently let to Jo Malone until 2020. The guide price is £1.3M- £1.4M with a gross yield of 6.12%. Another London-based opportunity is lot 38, a freehold restaurant located in Brixton with a guide price of £2.25M. The property is currently let to Oaxaca Limited on a lease expiring in 2039. With a rent review to take place this May, the current rent stands at £135,000pa. Other examples of the largest lots that will appeal to the demand for alternatives and mixed use assets include lot 81, a Mercedes dealership in Weston-super-Mare, let at £202,905pa at a guide price of £2,450,000. Another mixed use item is lot 94, in the West Midlands. The parade of shops currently includes tenants such as Costa, Co-op and Lloyds Pharmacy, let at £439,980 pa in total plus four vacant flats. George Walker, Partner and Auctioneer, Allsop says “We finished 2018 with a strong run of sales from the December auction and our clients have responded to this liquidity with a broader offering of high-quality assets than we have seen for over five years. Given the right asset mix and pricing, the private investor seems to be investing almost in spite of the uncertainties from Westminster. Unlike the stock market, commercial assets offer solid long-term returns and, with interest rates expected to hold steady, these high-yielding assets appeal”. The auction will take place on February 5th at The Berkeley Hotel, Wilton Place, London SW1X 7RL. The catalogue can be viewed online.